Contents. List of Contributors. Preface (H.O. Villar). Fluctuations in the Shape of Flexible Macromolecules (G.A. Arteca). Modeling Nucleic Acids: Fine Structure, Flexibility, and Conformational Transitions ((R. Lavery). Molecular Modeling: An Essential Component in the Structure Determination of Oligosaccharides and Polysaccharides (S. Pérez, A. Imberty, and J. P. Carver). Hydration of Carbohydrates as Seen by computer Simulation (J.R. Grigera). Studies of Salt-Peptide Solutions: Theoretical and Experimental Approaches (G.E. Marlow and B.M. Pettitt). Index. 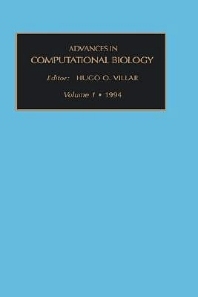 The first volume in a series which aims to focus on advances in computational biology. This volume discusses such topics as: fluctuations in the shape of flexible macromolecules; the hydration of carbohydrates as seen by computer simulation; and studies of salt-peptide solutions.